As an elder at a church in the Doro Refugee Camp in northeast South Sudan, Zechariah loved serving people. But he would become terrified if asked to speak and read from the Bible. Each time, he’d find an excuse to back out. And yet with each excuse, Zechariah felt tortured—he knew he was masking the truth that he couldn’t read or write. Though born into a non-Christian family in Sudan, Zechariah on his own started attending a church in 1985. Through its witness, he heard that God loved him and that Jesus Christ died on the cross for his sins. He committed his life to the Savior. Zechariah enjoyed hearing the Bible taught publicly, but for 20 years, he couldn’t read it on his own. Relief came in 2015 when he was recommended by his church for a Bible literacy program, supported by Samaritan’s Purse. 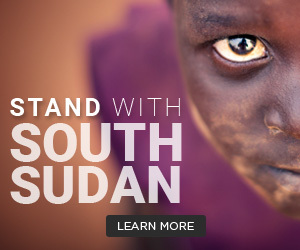 Zechariah was then living in the Doro Camp, to which he and his wife, Difke, and their 10 children fled when fighting broke out in 2011 after South Sudan gained its independence. He was one of 60 students meeting at two different centers at the camp. But as the first day of the class approached, Zechariah’s anxiety increased. “I was afraid to come because if I went as an older man, maybe some younger people would laugh at me because I didn’t know how to read,” he said. Zechariah prayed for God’s strength to overcome this emotional hurdle. For five months, he studied hard, practicing everything he had learned. Now, without hesitation, he confidently picks up the Bible and reads it in the Uduk language, his mother tongue. “Because I can read, I can grow as a Christian myself, but also be a better elder to help our members be stronger believers and become more like Christ,” Zechariah said.